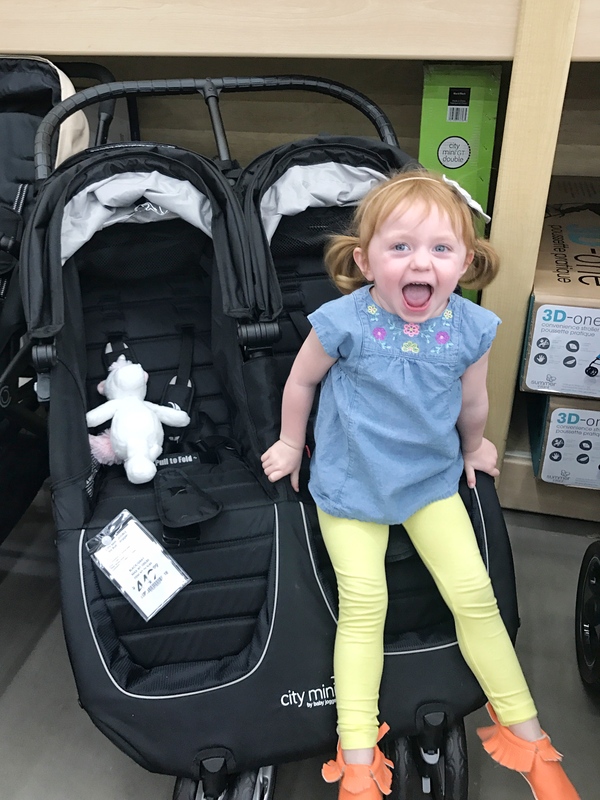 Thank you to Buy Buy Baby for sponsoring today’s post. All thoughts and opinions are my own. 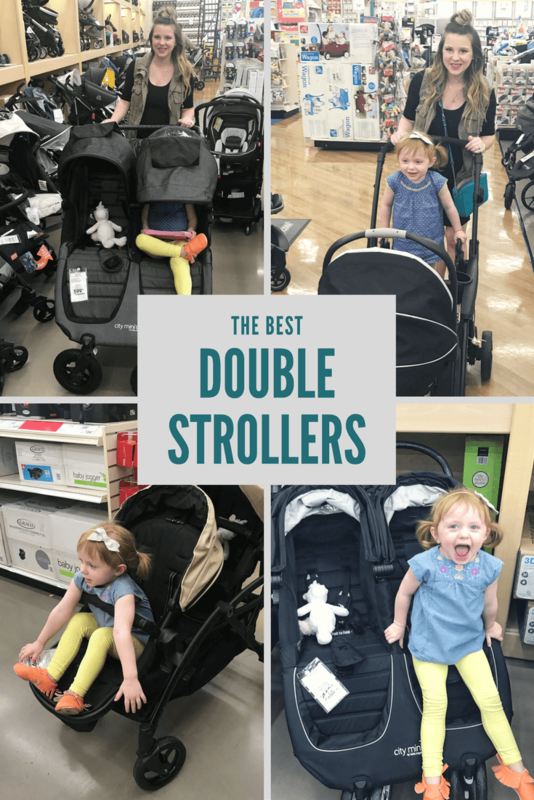 The hardest part of preparing for baby number two has been choosing a double stroller. There are SO many options. And they’re all heavy. And giant. And expensive. 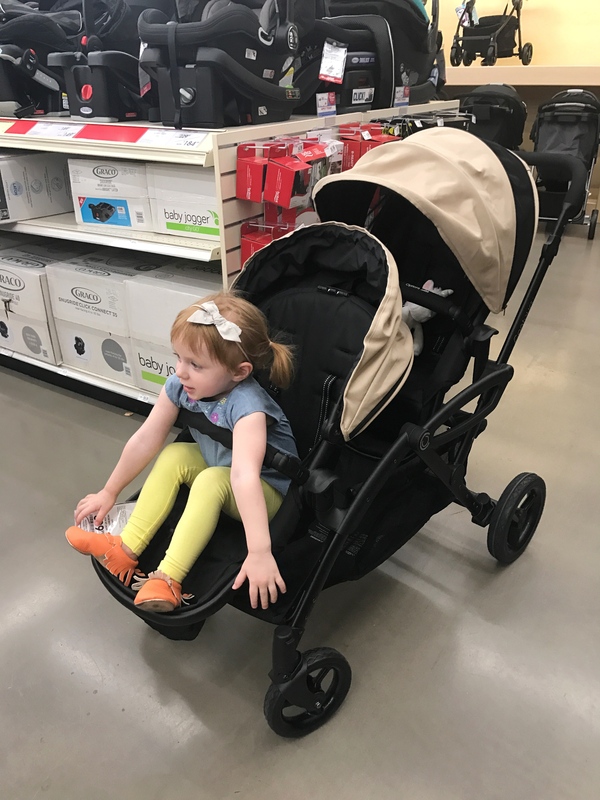 The stores closest to my house just didn’t have quite the assortment I was looking for when it came to choosing the right double stroller for us. They each had 4-5 options, and neither had the few I had actually heard good things about. 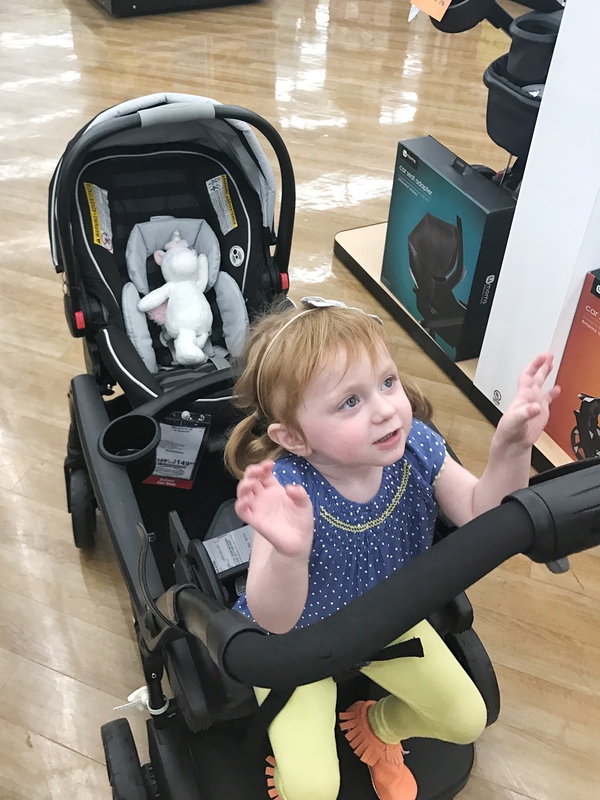 So I was really excited when Buy Buy Baby said they’d be happy to help me find the right stroller for our family. The best part? They want to help you, too! I spent 2.5 hours in a Buy Buy Baby store, with a saint of a man named Dex. He was more than patient with my million questions and my “I just can’t make up my mind” self. 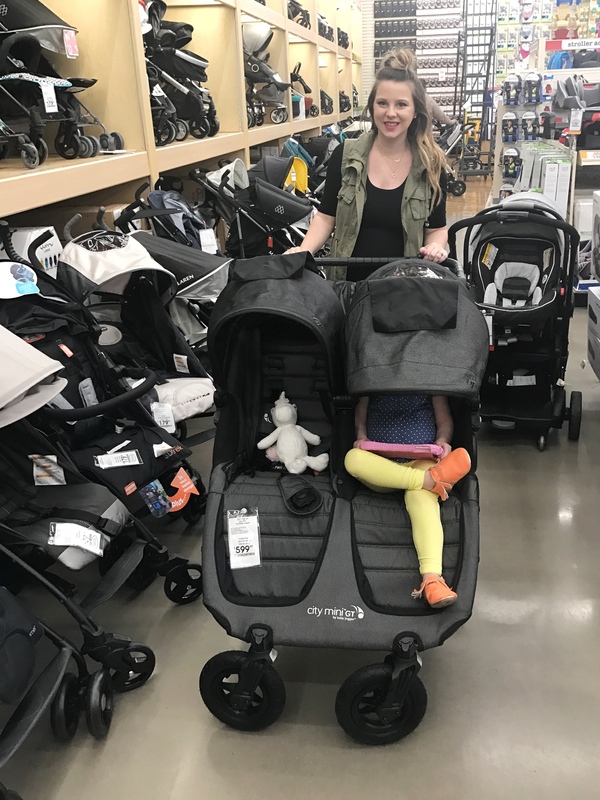 In our time together, I was able to narrow down a list of my top 4 strollers, in hopes you might not have to spend as many hours researching and obsessing as I have. 1. 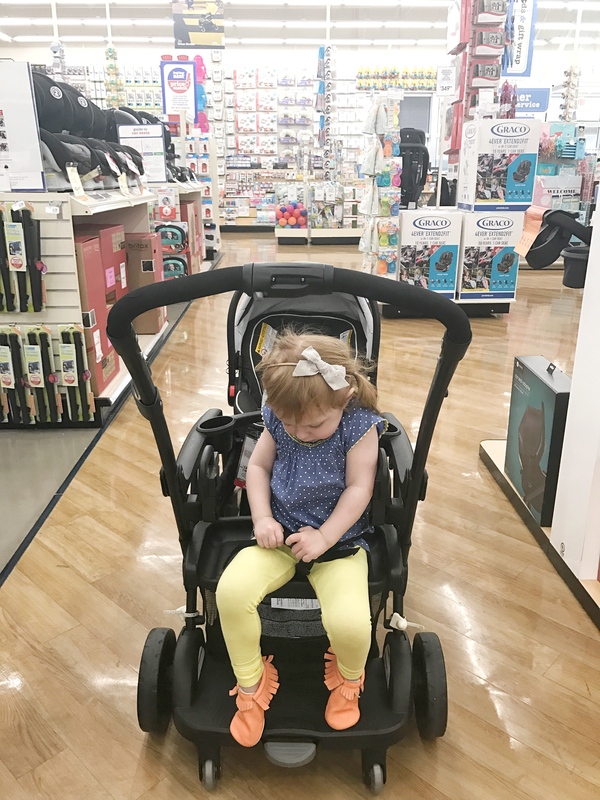 We have a Graco Click Connect car seat, so we can use it in this stroller without any additional adapters. 2. There are a ton of cup holders! 4 to be exact. 3. Lots of various riding positions. 4. The storage under the seats is giant. 5. Easy to push, handles well. 1. You can only use the standing platform if you remove the back seat and leave it behind. 2. Each seat supports up to 50lbs — which means it may not last as long when you have siblings that aren’t twins. 3. The foot rest for the front seat only has one position. 4. The front seat can only recline in two positions, which doesn’t include laying flat, since there’s a bar with two cup holders separating the two seats. 5. It’s 42 lbs, which doesn’t make it easy to lift in and out of your vehicle. 2. Lots of storage space in the bottom. 4. The foot rest for the front seat has multiple positions. 5. Neither of the seats can fold all the way flat. 1. Each seat supports up to 40lbs — which means it may not last as long when you have siblings that aren’t twins. 2. It was REALLY hard for me to fold. You have to have the front wheels turned to the side for it to be able to fold flat. And maybe my pregnant belly was in the way, but I had the toughest time trying to get those darn wheels to sit sideways at all. 3. At 34lbs it isn’t light, and not being able to fold it flat, I found it really hard to lift. 1. The never-flat, all-terrain rubber tires make for a really smooth ride. 2. The handle bar adjusts to three different heights. 3. The weight limit is for the entire stroller (100 lbs) instead of an amount split between the two seats. 4. SO easy to fold down. 5. 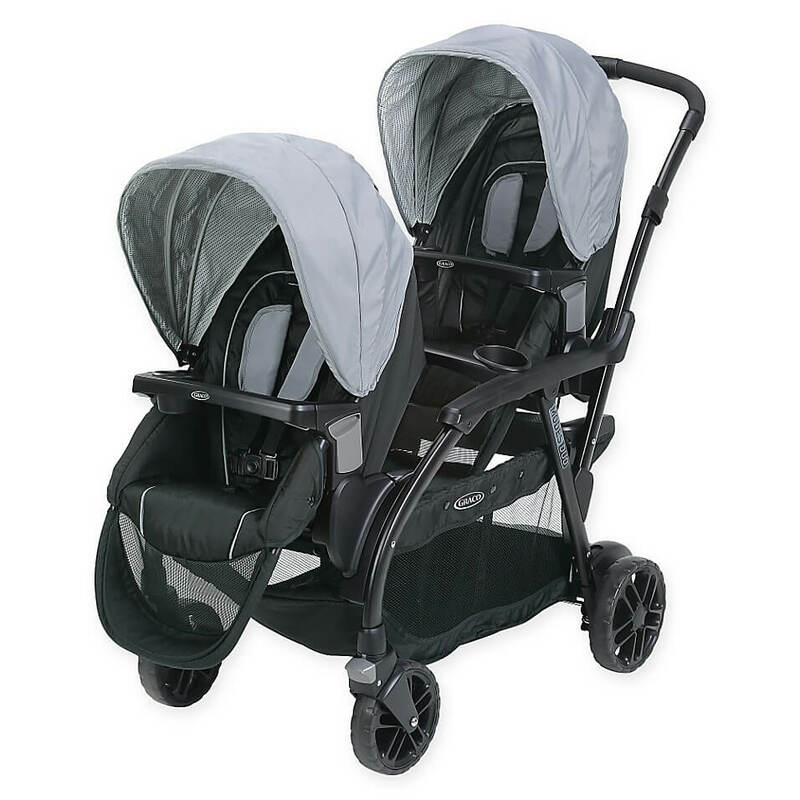 Lots of storage that is easier to access than the storage under the tandem strollers. 6. Hand break (vs. foot break) makes it easier on your shoes (or your toes if you’re wearing sandals!). 7. Seats can recline all the way back. 1. It weighs 34lbs, so it was still really heavy for me, which made it hard to lift. 2. While I found it easy to fold down, I didn’t necessarily find it easy to actually get it to lock shut. This made it hard to lift. 3. Must purchase both a Belly Bar Double ($39.95) and a snack tray/cup holder ($29.99) separately, if you want your toddler to have a place for snacks/a drink. 4. Must purchase adult’s cup holder(s) separately ($24.95/each) or you can purchase the parent console ($29.95). 1. Super easy to fold. 2. (Only) 26.5 lbs, which made it WAY easier to lift into the car than the others. 4. 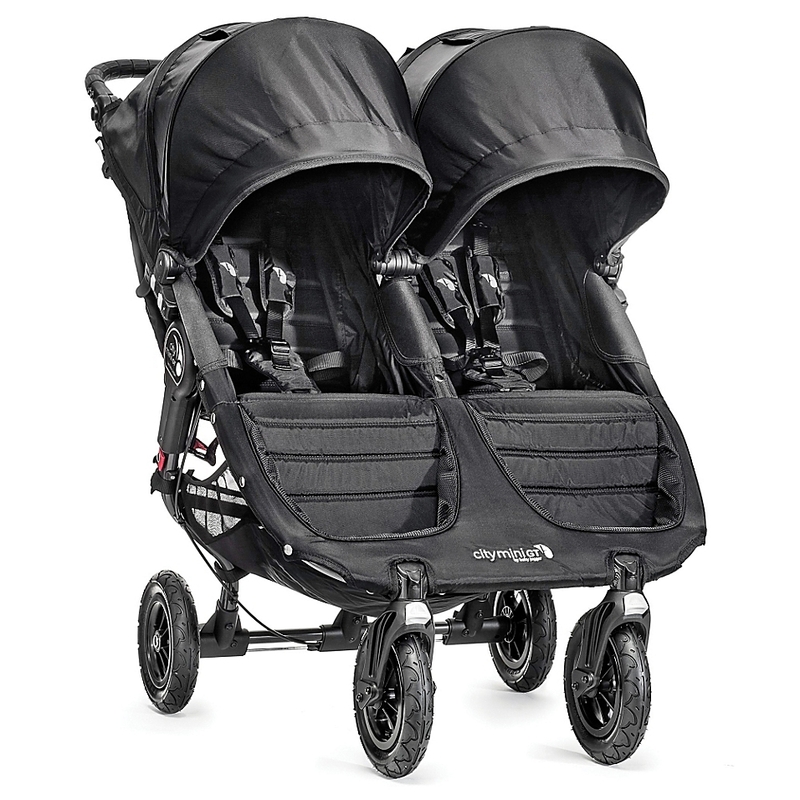 Lots of storage that is easier to access than the storage under the tandem strollers. 5. Seats can recline all the way flat. 1. Foot break (instead of the hand break like the GT version). 2. Must purchase both a Belly Bar Double ($39.95) and a snack tray/cup holder ($29.99) separately, if you want your toddler to have a place for snacks/a drink. 3. Must purchase adult’s cup holder(s) separately ($24.95/each) or you can purchase the parent console ($29.95). We went with the City Mini Double Stroller. And that’s that. 1. They’re all giant. It’s going to take up your entire trunk space. 2. They’re all heavy. The average single stroller weighs between 17-24 lbs. 3. You’ll decide you don’t need one. 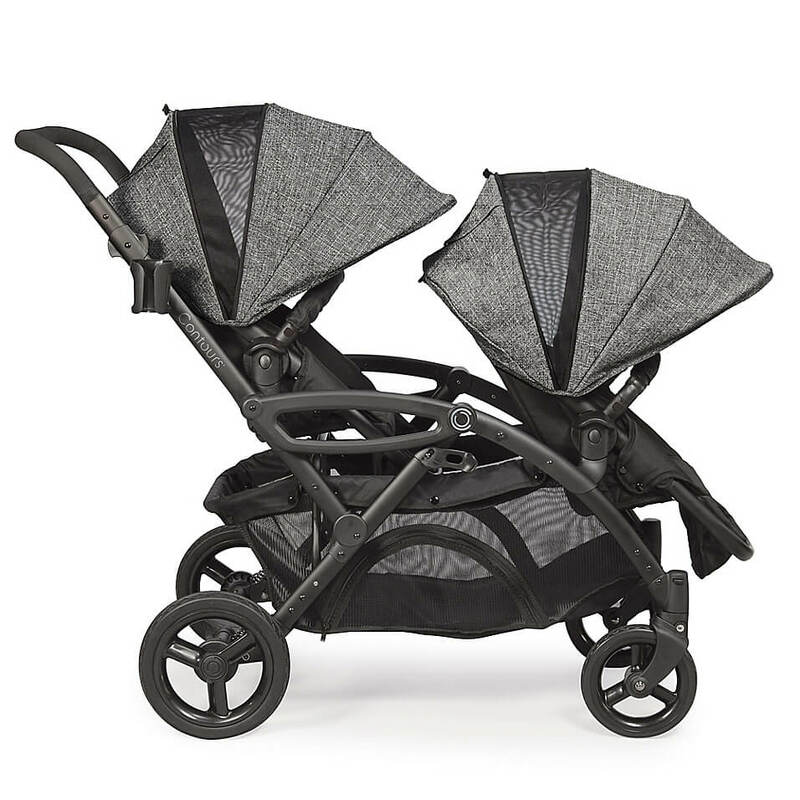 At some point in your research, you’re going to tell yourself you can just wear one and push the other in your single stroller. But don’t give up… you can find one that meets your family’s needs! The city mini is great and maneuver really well! Loved this post!! We have the Uppa Baby Vista because I’m a petite short lady, and thought I’d accidentally take door ways out. I thankfully just added another chair, and was good. I’ve heard great things about the City Mini Double as well!! It looks really comfy!! Love this post!!! I went with the uppa vista!!!!!! Great review. Glad you were able to gain the help you needed for your decision. I’m currently looking for a double :) great post! It truly comes down to finding one in your price point. 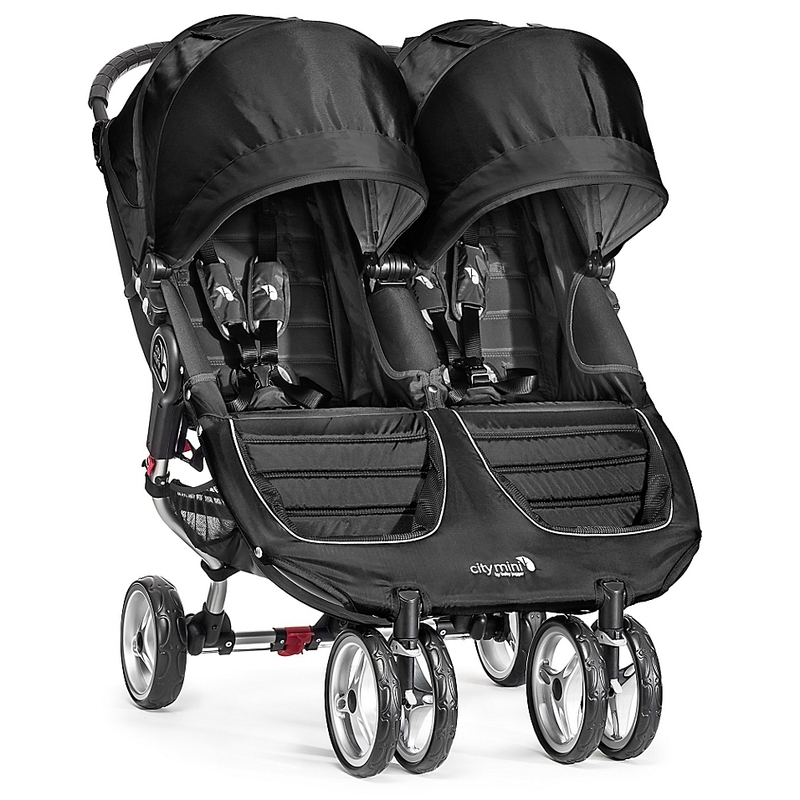 I love our UppaBaby Vista, we can even put three kids on it thanks to the rumble board. 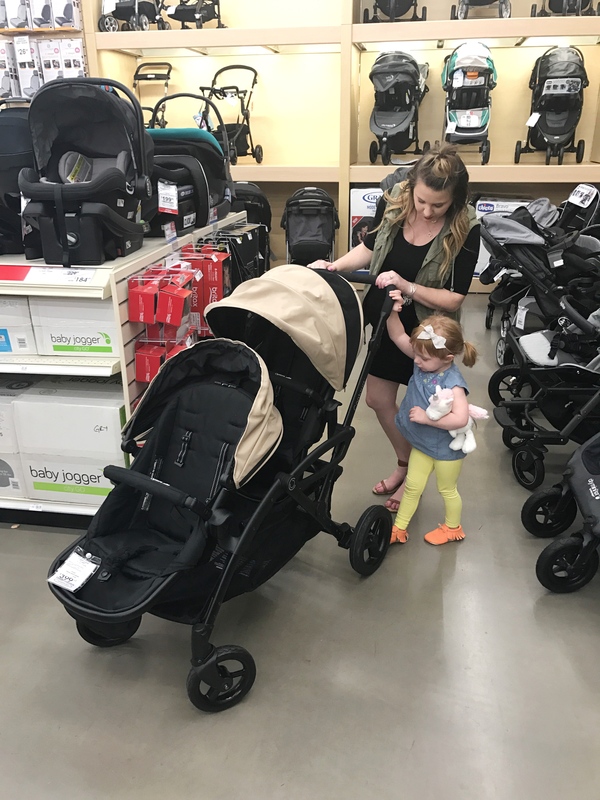 I truly feel that strollers should also be considered an investment piece so you get one your truly love and that is built to last. Definitely! I liked the City Select since it’s so versatile (although still heavy! Lol) but it was just so expensive. And I’ve heard GREAT things about the UppaBaby Vista! 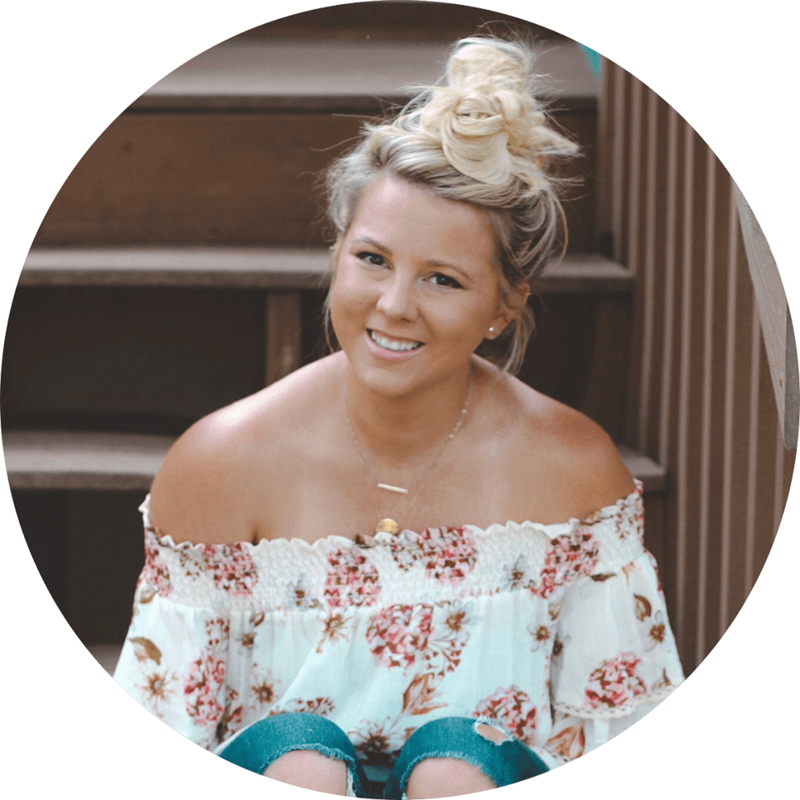 I wish I would’ve thought of the need for a double with our first… it would’ve made it easier to plan for something that was more of an investment that we could build on to. Hindsight, I guess! ? Definitely! I liked the City Select since it’s so versatile (although still heavy! Lol) but it was just so expensive. And I’ve heard GREAT things about the UppaBaby Vista! I wish I would’ve thought of the need for a double with our first… it would’ve made it easier to plan for something that was more of an investment. Hindsight, I guess! ?